Nubla, is besides a game, an interesting educational project that puts in dialogue the art, technology and new narratives. It generates, in certain ways, a reinterpretation and creatively vision of the works of the museum. Nubla proposes an adventure that begins in the halls of the Thyssen museum, where we find a character, only inhabitant of an imaginary universe that exists inside the pictures. Following him, we begin a journey that will take us to discover the wonderful world of Nubla, full of puzzles and forgotten places. Who has not dreamed of plunging into one of the paintings hanging on the wall of a museum and venture into an unknown world? Nubla, is besides a game, an interesting educational project that puts in dialogue the art, technology and new narratives. It generates, in certain ways, a reinterpretation and creatively vision of the works of the museum. Backgrounds, characters and game mechanics are inspired by works and artistic styles, bringing the world of art in a playful and fun way. 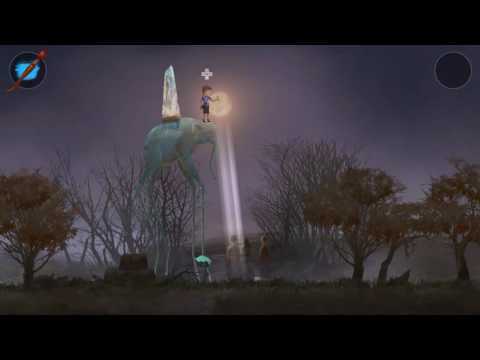 The World of Nubla includes the complete first chapter and a playable demo of “M. The City in the Centre of the World”. © Gammera Nest & EducaThyssen, 2016-2017. All rights reserved.